Available in packs of 35 or 100 these flexible dry wipe lap boards are durable and ideal for group work in schools. 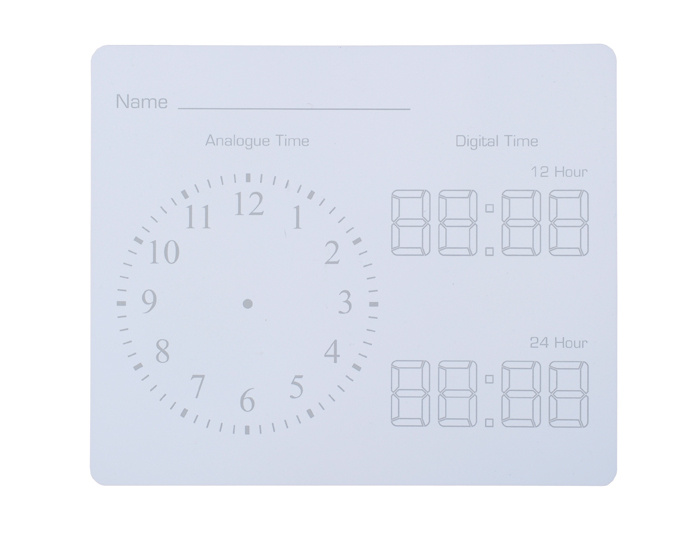 These mini-whiteboards are great in supporting students with active learning and help to increase interactivity among students in lessons. 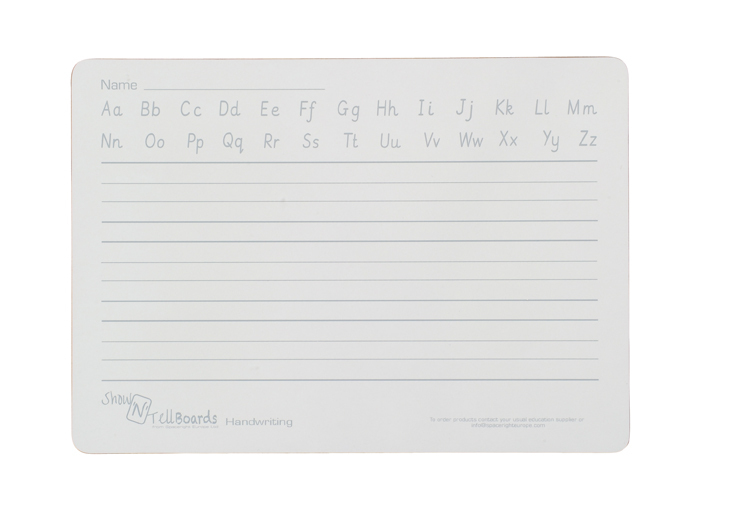 The non-magnetic dry-wipe surface of these mini whiteboards allow work to be erased or corrected easily and mess free. This can help boost confidence of students who may lack confidence in putting forward their ideas amongst peers from fear of being incorrect. Lapboards are manufactured from lightweight 500 micron plastic so can easily be used by students working on the move. 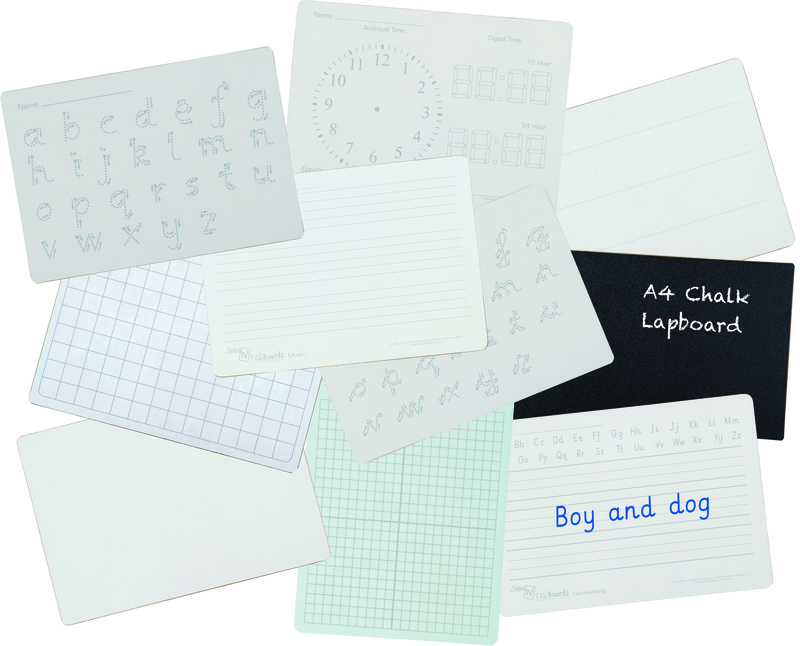 This pack of drywipe lapboards are available in 12 writing surface options so can be used in a range of lessons across both primary and secondary schools. 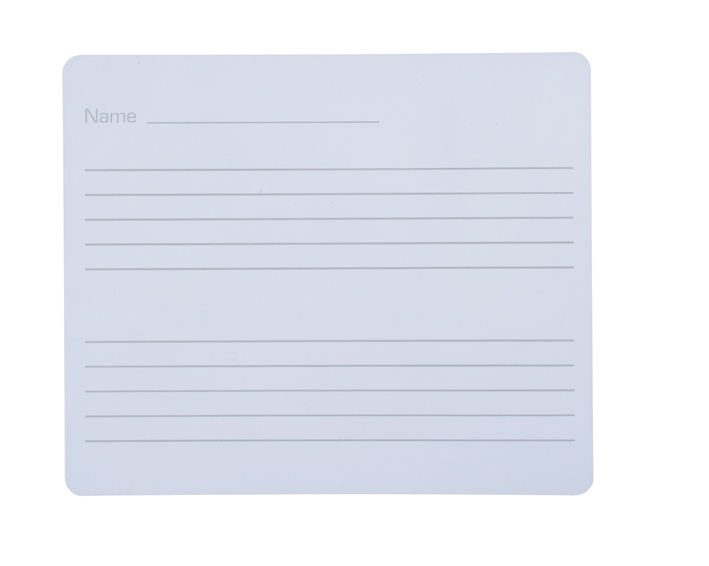 Plain, squared and lined writing surfaces are ideal for use in any subject and can be used during any interactive activity as an alternative to pen and paper. 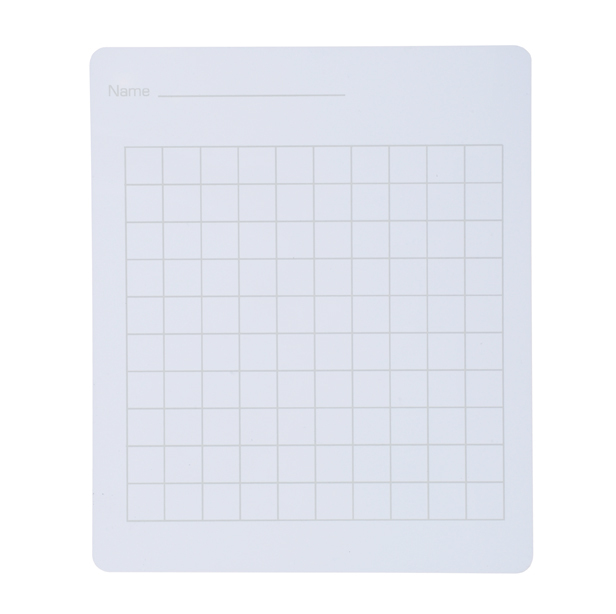 The 1-100 grid, multiplication and time writing surfaces are suitable for teaching students about time or simple maths. Handwriting, letters/vowels, pre-cursive and cursive surfaces are a perfect medium for helping students perfect their handwriting, vocabulary and literature skills. 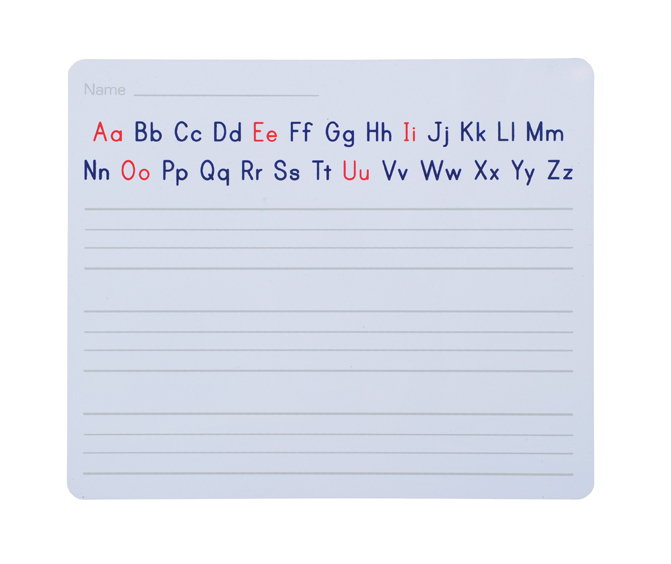 Use the pre-cursive lined lapboards for teaching students about simple letter formation or the cursive writing surface when working on joined-up handwriting. Opt for the music writing surface for an interactive way to teach students about music sheets and staves. The X&Y grid surface are ideal for mathematics. 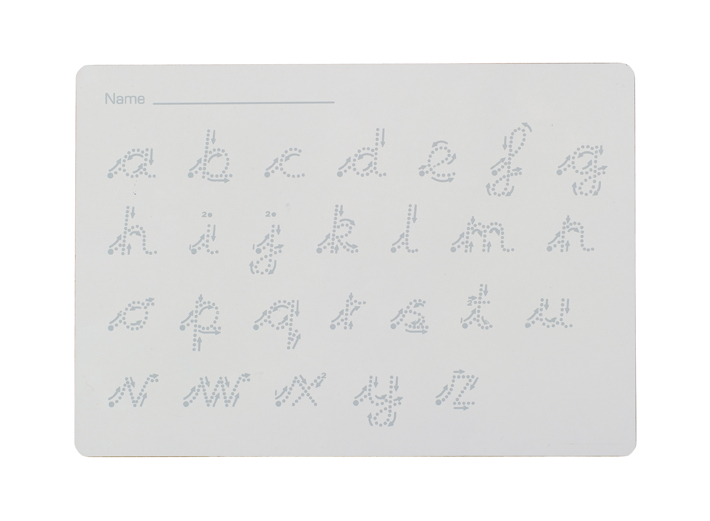 All writing surfaces are printed in light grey so do not detract from students’ work. The lapboards are portable, lightweight and compact in size so are easily stored and transported for use across the school.